Long-lasting, ultra effective cream concealer that covers any acne spot to create the appearance of a perfect complexion. Swipe your finger, concealer brush, or sponge across the product and apply to any red areas. This product can be purchased in Ulta and Sephora Stores as well as online at the Ulta, Sephora, and Benefit websites. Benefit Boi-ing Concealer is the most effective cosmetics product that I have come across in my years of exploring Sephora! In my teen years, I went through an embarrassing period of time when I suffered terrible acne. I tried everything to try to cover the unattractive splotches, but until I found this product, nothing worked. This industrial-strength concealer can truly cover any flaws! Now that I am acne-free, I use Boi-ing Concealer daily under my eyes and on any small blemishes to give my complexion a flawless finish. The picture below demonstrates how this product can create the illusion of a perfect complexion. The best part about Benefit Boi-ing Concealer is that it truly creates the appearance that you have a flawless complexion! Unlike many other concealers and foundations, this product does not look caked on or fake. As it comes in 5 different shades, it is easy to match this product to your skin tone to create a natural look. Because I have extremely fair skin, I often have problems finding products that don’t leave orange-looking streaks on my skin. I was excited to find that this product matched my skin color perfectly. 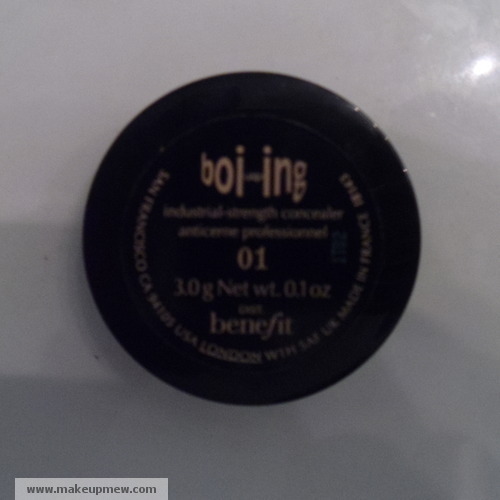 When I am in a hurry, I sometimes just apply Boi-ing Concealer to any blemishes and under my eyes as my only makeup on my way out the door in the morning. However, this concealer works great on top of or under foundation for extra coverage. This product stays on all day, through yoga classes, dancing, and walking to class. Because I sometimes have a new breakout in the middle of the day, I always carry the small, compact container in my bag for emergency fixes. Because I use this product religiously, I go through the containers quickly. Compared to drug store options, Boi-ing Concealer is pricey. However, the coverage provided is unmatched and I believe that it is definitely worth the price. I would much rather spend a few extra dollars on a product that works than to constantly have to reapply a cheaper product. Benefit Boi-ing Concealer is perfect for those with persistent acne problems, although it is very useful for small fixes too. When I use this product, I feel confident throughout the day that my face looks flawless. It is one of the best cosmetic buys I have ever made and I have converted many of my friends into daily users as well. 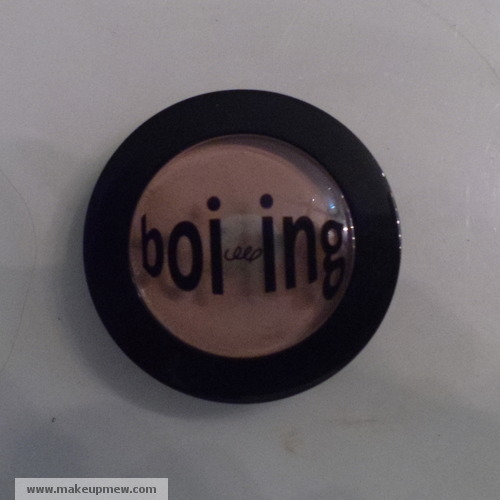 Benefit Boi-ing Concealer truly provides the appearance of a miraculously perfect complexion! 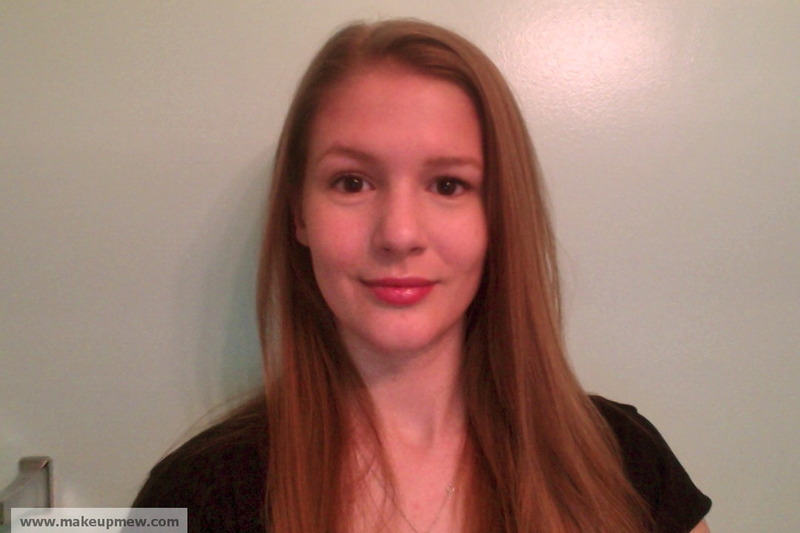 Jessica May is a college student and blogger who is always looking for new ways to stand out in the crowd. She started experimenting with cosmetics at a young age and has continued to be passionate about the subject throughout the years.